But neither of the pair could touch Monaco’s Maxime Nocher, whose pace and ability to avoid trouble, put him in a class of his own. 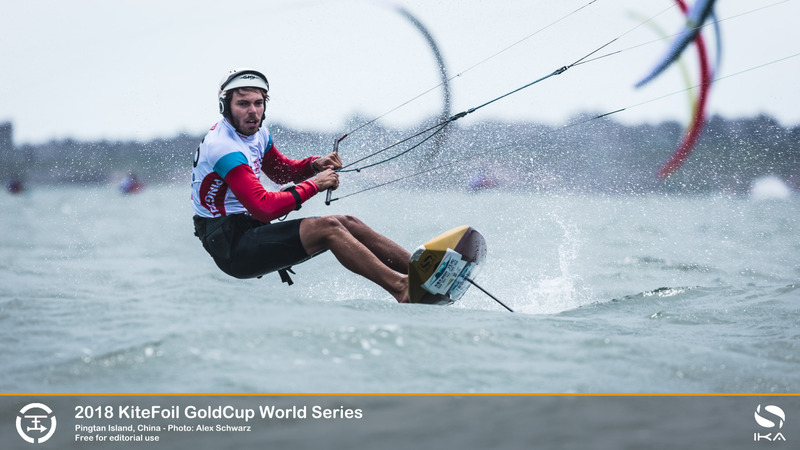 On the two days of racing the multiple world champion has landed a remarkable nine wins from 10 races. 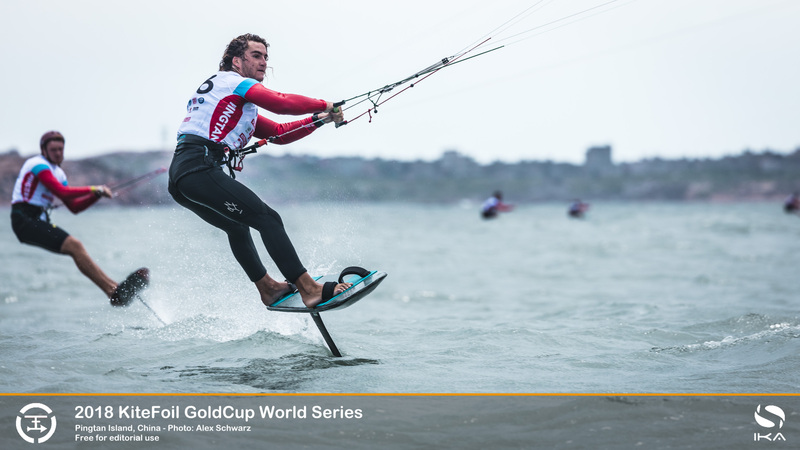 His only blemish came in the day’s fourth race when his 9m foil kite collapsed and went down in the punchy conditions, and he could only finish down the order. No matter, he was able to discard the score along with another bullet, such is his near-flawless performance. 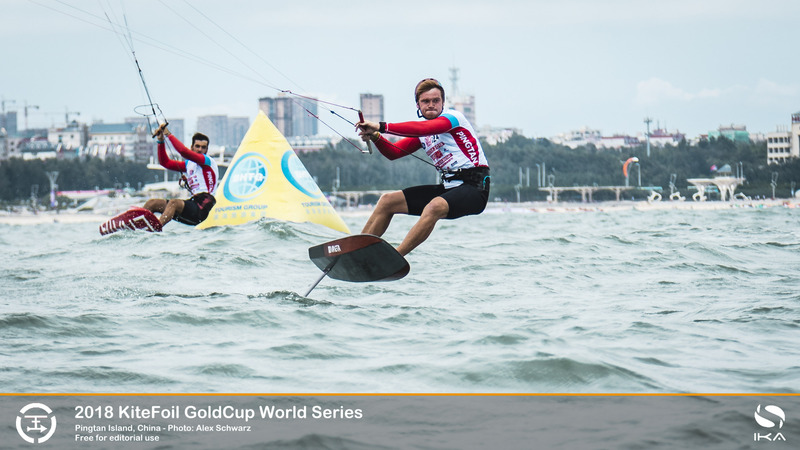 In the bigger winds and growing seas Britain’s Connor Bainbridge could not match his early promise and posted a number of finishes down the order that saw him fall from second overall to fourth. Russia’s Elena Kalinina, part of the small group of women competing among the strong field of men, also slipped slightly in the rankings. But in the tough conditions she easily maintained her lead over the other women. But de Ramecourt was equally pleased with his showing. 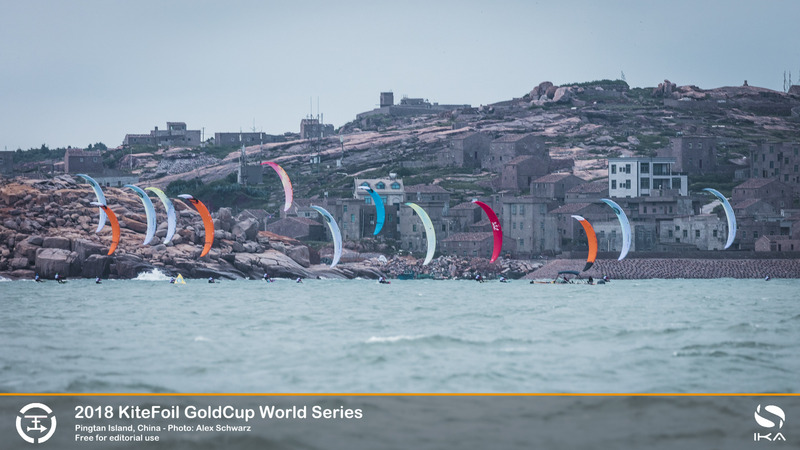 He took a run of four second spots and sits just behind Nocher despite his kite stalling and collapsing in a big gust in the day’s final race.